Download Free Shopping Bag with Business Card Mockup. Presenting the design to clients, showcasing how the branding artwork will look after print. 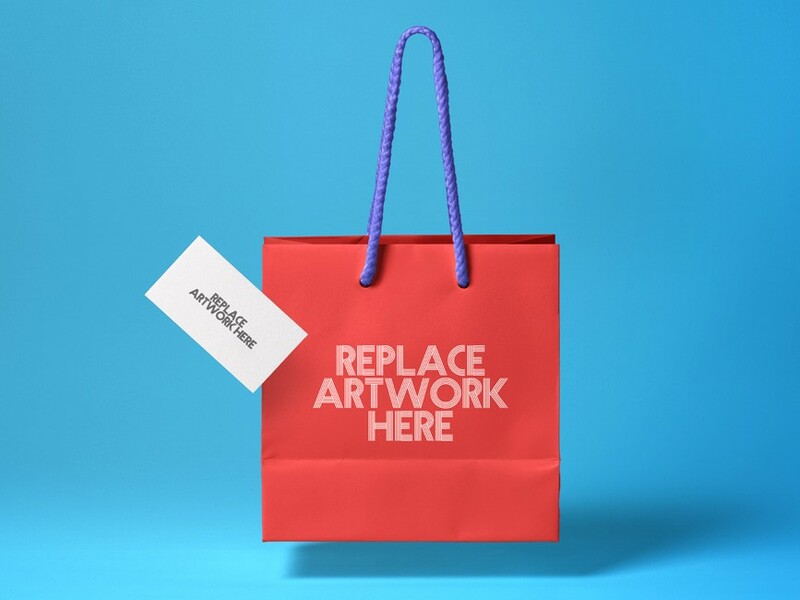 Just replace the business card and shopping bag design inside smart object in photoshop. You can change the bag and and handle color. Nice work done by Pixeden.